In any large city, people should be aware of the inherent dangers posed by large trucks in congested traffic. Boston is no different. Truck accidents can result in traumatic injuries, or even death, for motorists in passenger cars, individuals on bicycles or pedestrians. The Massachusetts Law Firm of Jonathan D. Light, P.C. offers excellent representation to truck accident victims. According to the National Institutes of Health, while the probability of driver's injuries being severe or fatal increased by 26 percent when accidents involved single-unit trucks in rural settings, the probability of driver's injuries being severe or fatal increased by 700 percent in urban environments. Big rigs or large commercial trucks have blind spots where they cannot see smaller passenger vehicles, bicycles or pedestrians. Delivery truck drivers frequently have attention on finding delivery locations and may not notice other vehicles. They often must back into a cargo delivery area and consequently can fail to see someone on foot or on a bicycle when backing into an area. Many city streets in older cities like Boston are narrow, which makes turning difficult for large trucks. Typically, large trucks have to swing into the other lane to make a wide turn. Motorists on the other side of the truck may not anticipate a wide turn and their vehicles can get trapped between the truck and the curb or other parked cars. Wide turn collisions can crush smaller vehicles that have no means of getting out of the way. Some accidents occur when delivery truck drivers fail to set their emergency brakes and leave the vehicle parked when running inside a delivery location. Whatever the reason, a skilled truck accident attorney can investigate the accident, determine the accident cause and identify liable parties. Attorney Light recently settled a serious truck accident for 1.8 million dollars ($1,800,000.00) involving herniated lumbar discs and spinal fusion surgery. 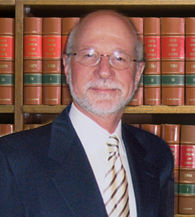 Jonathan Light has practiced personal injury law in Massachusetts since 1976. He offers clients personalized attention and brings considerable experience to every case he handles. At the Law Firm of Jonathan Light, P.C., we provide caring and experienced legal representation for truck accident victims. By consulting a lawyer, you can discuss the prospects of pursuing a case the type of compensation Massachusetts law entitles you to recover. Call 617-245-0220 or contact the Law Firm of Jonathan D. Light, P.C. online to schedule your free initial consultation.